Here’s a fun experiment playing in Mike Mignola’s high contrast style to celebrate the 25th anniversary of Hellboy’s debut! I remember getting that free giveaway Dark Horse comic in my con swag bag and going, “Oh cool – there’s a Sin City story in here.” Didn’t have any idea who Hellboy was just yet. But I enjoyed that debut story, followed the series, and became a big fan. And I still got that debut comic! 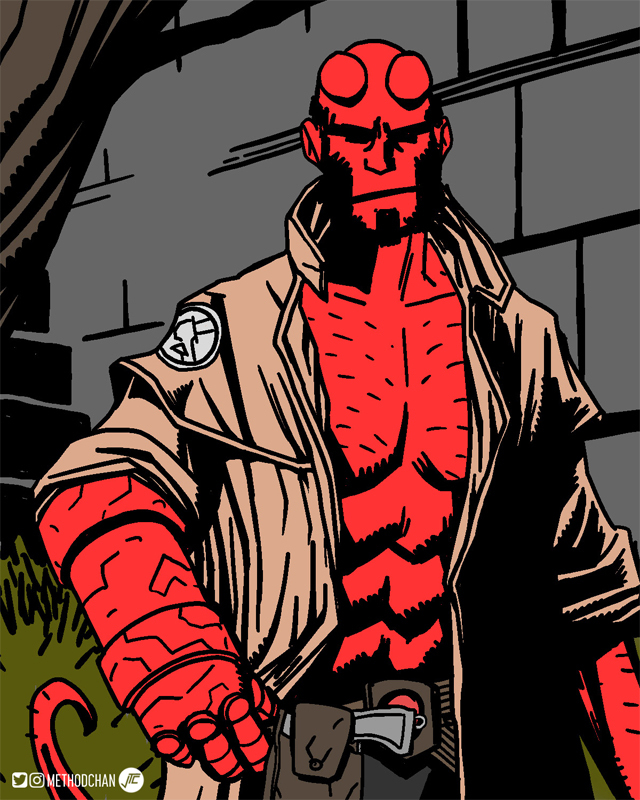 Happy 25th, Hellboy!